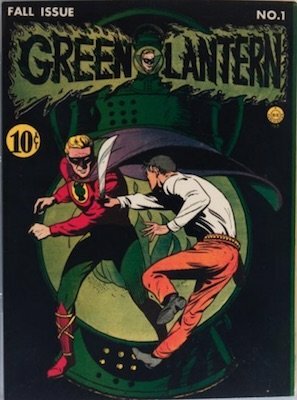 After Alan Scott, the Golden Age Green Lantern (click for our article on values), made his last appearance in 1951, there was not a single appearance of the Emerald Gladiator in any comic books for eight years. The Golden Age had ended, and superhero comics had gone the way of hoop skirts and high-button shoes, pushed aside by Westerns. 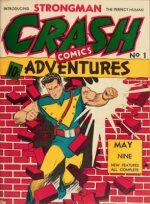 When Green Lantern would finally reappear in 1959, he came bearing a different costume, different powers, a different origin story, and a different secret identity, in Showcase Comics (click for full article). Test pilot Hal Jordan had been installed as GL, and for all intents and purposes, it was as if railroad engineer Alan Scott had never existed. 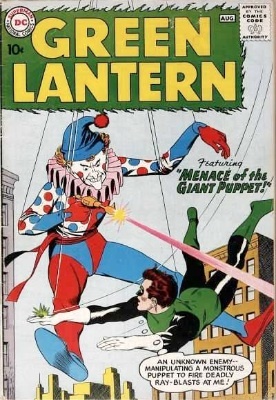 While DC would later connect the Golden Age and Silver Age via the Earth Two/Earth One schema (and subsequently destroy that arrangement in 1986's Crisis on Infinite Earths mini-series), in 1959 only one thing really mattered: Green Lantern was back! Have Your Silver Age Green Lantern Comics Valued! 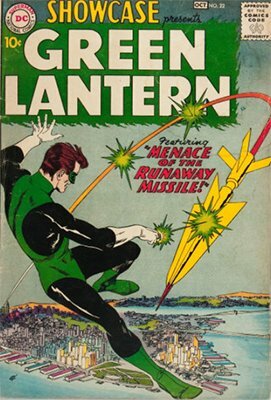 If you've got some old Green Lantern comics (including Showcase #22, The Brave and the Bold #28, Green Lantern (vol.2) #1, or Green Lantern/Green Arrow #76 ), then click here to have them valued FREE by Sell My Comic Books! 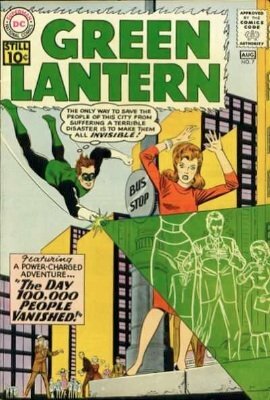 Just as with other superhero movie stars of the last 10 years, the value of Silver Age Green Lantern comics has grown considerably, more so than GL comics from other eras, mostly because the film featured the Hal Jordan GL, and had very much a Silver Age focus. The Green Lantern movie did not do as well as other superhero films, but it served to showcase GL to the general public as never before. While Green Lantern's popularity may never match Spider-Man's, and while Showcase #22 may never be worth as much as Amazing Fantasy #15, it's a good idea to dig out your old Silver Age GL comics, and get a fix on what they're worth. DC Comics had decided that the era of Westerns was finally over. Batman and Superman had made it through the '50s intact, and after the very successful reboot of the Flash (replacing Jay Garrick with a newcomer named Barry Allen) in 1956, the powers that be decided to give GL the same treatment. 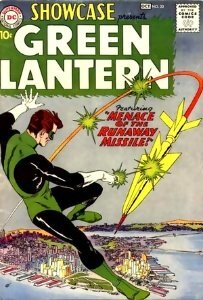 In October of 1959, the new Green Lantern made his debut in Showcase #22, the same comic in which the new Flash had made his first appearance. 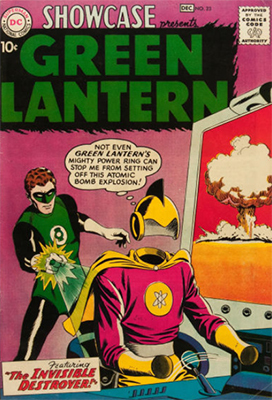 The first issue featured an origin story that had test pilot Hal Jordan summoned to the side of a dying alien, Abin Sur, a member of the intergalactic Green Lantern Corps. Hal finds out about the Corps., the ring's powers and its weaknesses (it had to be recharged regularly and was powerless against anything colored yellow), and agrees to become the official Green Lantern for the sector of the galaxy that includes earth. In two stories written by DC mainstay John Broome and penciled by then-relative-newcomer Gil Kane, Green Lantern showed that he had what it took for the Silver Age. Gil Kane designed GL's new costume, a marvel of space-age design. His dynamic pencil work would be associated with the Emerald Gladiator for many years, and is considered by many to be the definitive GL artist. The comic they launched in was Brave and the Bold #28. 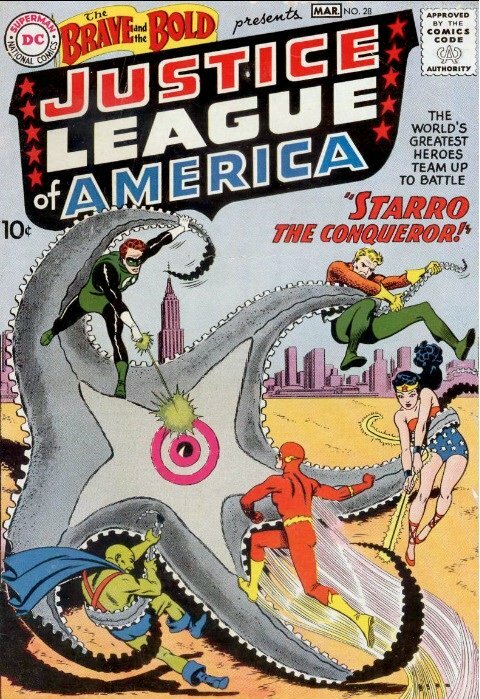 Green Lantern was included in the lineup of the JLA, along with Batman, Superman, Wonder Woman, The Flash, Aquaman, and J'onn J'onnz, the Martian Manhunter. 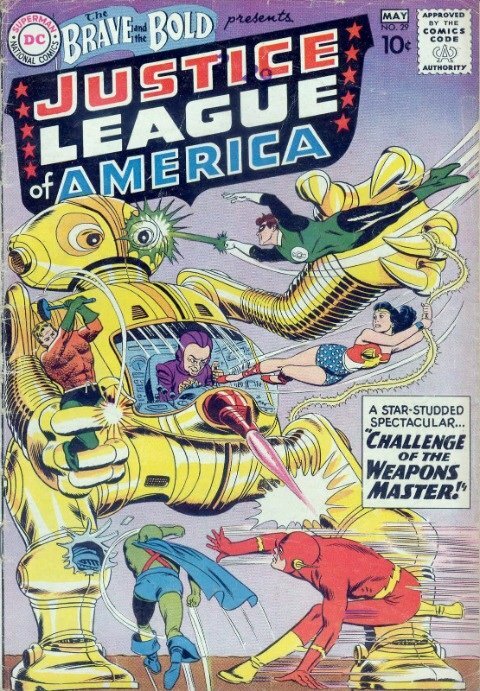 Along for the ride was Snapper Carr, JLA mascot, in the role that Johnny Thunder had played in the JSA comics. 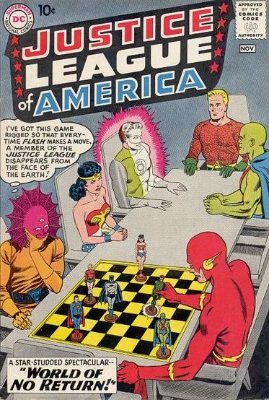 Written by Gardner Fox and penciled by Mike Sekowski, the JLA was an instant hit. How could it miss, with three heroes who'd made it through the lean years (Superman, Batman, and Wonder Woman), and two recently-rebooted heroes (Flash and GL) to spice things up, along with some other newcomers? Green Lantern v2 #1 sees GL encounter the Guardians of the Universe (click for Wikipedia article) for the first time, although they erase his memory of their encounter, deciding that Hal Jordan is not yet ready to learn of their existence. It is their first appearance in any comic, and their entrance to the DC Universe. With writing and art by the same team who'd handled GL in Showcase, John Broome and Gil Kane, this issue set the tone for what would be a long run of Green Lantern comics that kept a consistently high quality. The first issue of the Silver Age Green Lantern is a hot commodity, and rare bird. This comic is extremely desirable, and with very few in good shape, prices have skyrocketed in recent years. Green Lantern v2 #7 is notable for two reasons: it contains the first appearance of Sinestro, the yellow-power-ring wielding nemesis who would plague GL for years to come. It was also the first time that Hal Jordan was allowed to remember an encounter with the Guardians. The same creative team who'd been handling GL still appear here: John Broome as scripter, and Gil Kane as artist. Kane's artwork just kept getting better and better as the 1960s went on, and Green Lantern was the best place to see it. In Green Lantern v2 #76, Green Lantern has a new partner: Green Arrow, who helps open Hal Jordan's eyes up to injustice here on earth, and places him in conflict for the first time with the Guardians. This issue begins a new phase for GL, with stories that were more concerned with gritty urban drama and injustice than with cosmic grandeur and saving other planets. 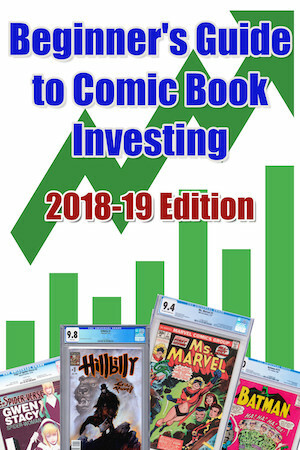 Eventually this trend would result in a storyline involving Green Arrow's young sidekick, Speedy (a member of the Teen Titans by this point) battling a heroin addiction. 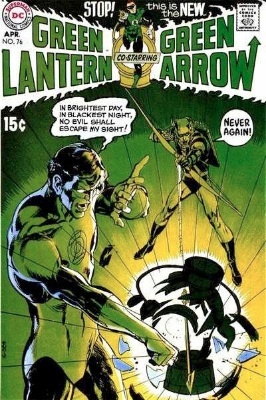 With script by Denny O'Neil and art by the inimitable Neal Adams, this begins a long run of very desirable GL/GA comics, all of which are valuable to collectors. Find out which other DC characters meet the Green Lantern, and what those important comic book issues are worth today. Learn the value of all the Showcase issues, from #1 (more of a Golden Age story about a firefighter!) to the all-important Showcase #22. Get yours valued if you want to sell or insure them. Find out what the comics featuring Alan Scott, the Golden Age Green Lantern, are worth to collectors, and get yours appraised for free. Find out what the issues featuring the Justice League of America, from Brave and the Bold #28 onwards, are worth to collectors today. 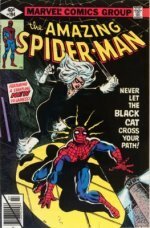 Sell, Appraise or Insure Comic Books Today!